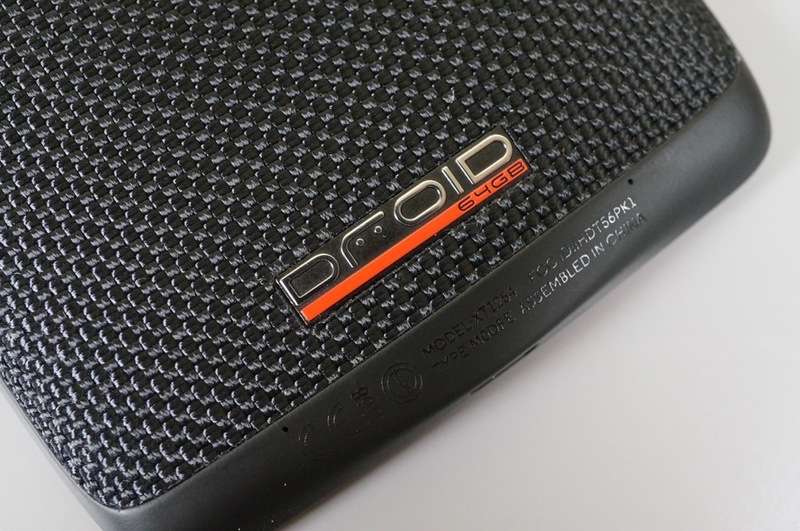 A rumor floating about the interwebs over the last week suggested that the DROID Turbo would finally receive its update to Lollipop yesterday, June 10. 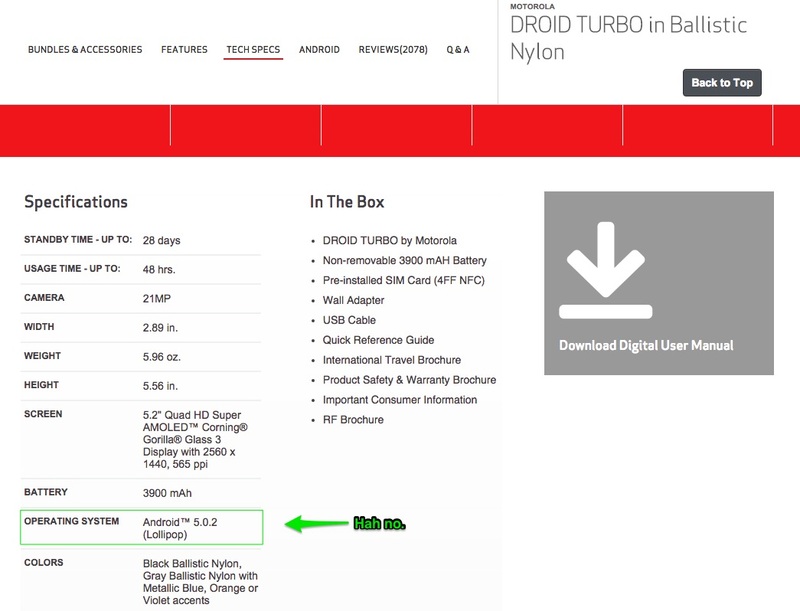 That didn’t happen, obviously, but Verizon was clearly, at one point, thinking that June 10 sounded like a good idea because last night, they updated the specs for the Turbo to show that the phone runs Android 5.0.2 Lollipop. There are a couple of things to talk about here. First, the Turbo didn’t receive 5.0.2 yesterday – that much is true. A new date may be June 12, though like the rumor for the 10th, things can always change last minute, so don’t get too set on it. I would imagine that we will get word on the update any day or Verizon wouldn’t be updating the phone’s listings to show that it runs Lollipop. Second, what the hell, 5.0.2? Motorola told us to expect a jump straight from KitKat to Android 5.1. Has something changed? Sources of ours yesterday actually told us that the update that has been approved is Android 5.0.2, not 5.1. We haven’t been able to receive a second confirmation on that, so expect one or the other, just don’t be shocked if it ends up being 5.0.2. 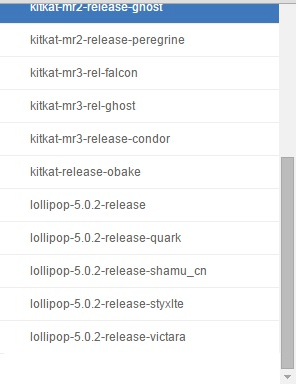 Update: Here is a list of “release” software for Motorola phones, which clearly shows the “quark” as having a 5.0.2 build ready. The “quark” is the DROID Turbo. Again, though, we were promised 5.1, but don’t be surprised if it’s 5.0.2. Update 2: Motorola chimed in this morning with a status update because this whole situation has gotten completely out of hand. According to David Schuster, the update is still in lab testing and will still be Android 5.1. They will let us know when the update is ready.